This one is extremely rushed, but I didn’t want to let you all down. This one aims less at the comedy side and more at a sense of pride we take when we realize that something has become ours. In this case, the ownership of our first apartment. I’m sure some of you out there who live on your own can relate. You might notice that Emery is not in this one. (gasp!) 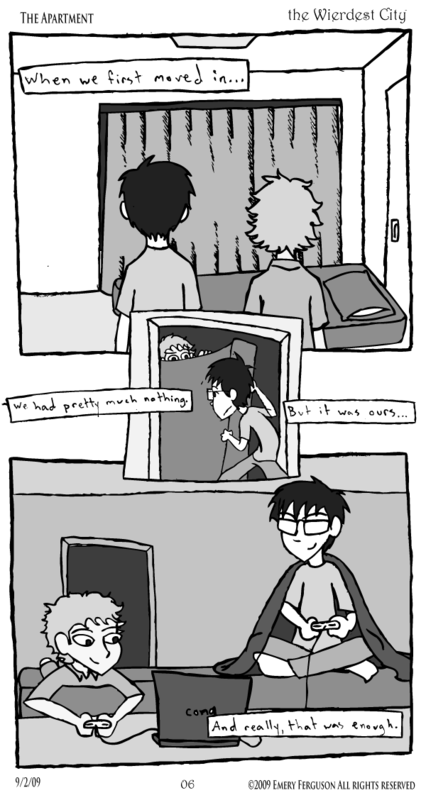 That’s because Solomon and Jonathan were actually the first ones to arrive at the apartment. They got here with nothing more than their mattresses and a few supplies. By the time I got here the apartment was mostly furnished, but here you can see them making the most of it by using a mattress as a make-shift couch and playing old emulators on a laptop.